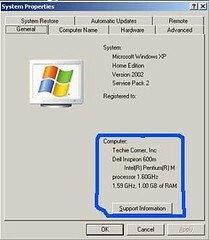 This tips is very useful for those who are running computer store or support business. It teach you how to set your own support information in Microsoft Windows System Properties. That’s it. Go to Control Panel => System Properties now and you can see your support information showing.